This column is the last in a series about three myths that hamper government’s ability to modernize its acquisition process. 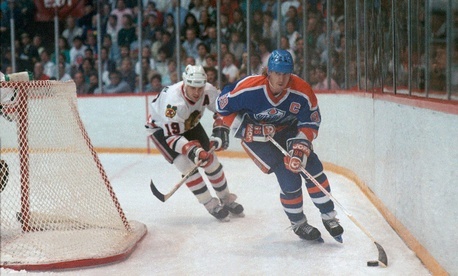 Wayne Gretzky is the only National Hockey League player to score 200 or more points in a season. He did it four times, also a record, largely by envisioning where pucks would be, getting there first and scoring or assisting in goals. Only Gretzky-style foresight and imagination will overcome the problems now crippling federal acquisition. Like hockey’s hero, to succeed we must think ahead beyond the crisis of the day and develop a vision of where acquisition is going to be. Until federal buyers and sellers have a view of what acquisition can become and what value it could deliver, we will continue spending billions of dollars on “fixing” the current system, rather than investing in strategic choices to shape the future. Since 2013, government executives, industry thought leaders, and acquisition professionals have been convening through a movement called Acquisition of the Future to envision the desired state of their profession and identify a range of strategic choices to help achieve it. We have examined the forces of acquisition transformation: changing global dynamics, emerging technologies, and the growing expectations of a new generation of citizens and employees. These responses illustrate acquisition myth No. 3, which clouds our thinking, creates resistance, and prevents us from acting. The acquisition community is being encouraged to remain in the current condition—managing today’s workload, solving current problems and overcoming the crisis of the day. There is no safe space for conversation or contemplation about where we want to go or what we want to become in this new age. Yet we all know that creating a common vision provides us something to aim for and catalyzes immediate, practical, and positive actions and impacts. When people understand and share a goal—a platoon taking a hill, firefighters saving a house, a team driving to score, a community raising funds to support those in need—we bond, plan, act, measure progress, and use resources and investments strategically to achieve the objectives. Having a target makes us more efficient, effective, cohesive, focused and responsive. Seamless connection, global openness and collaboration that have driven down transaction costs. Rapidly advancing and disruptive technologies. Social production via social media. The rise of the first generation to grow up awash in technology and constant interconnection. Worldwide questioning of the value of all institutions, including government. Even now, Pentagon leaders are determined to reform acquisition through Better Buying Power 3.0 and additional measures. Congress appears poised to create new authorities in an effort to improve IT buying through the Federal Information Technology Acquisition Reform Act. Dozens of similar initiatives are under way across the federal sector. The intent of these efforts is laudable, but like many past reforms, they lack a clear, long-term view of our country’s needs, the value acquisition can provide and the context within which it will operate in the future. As with Newton’s first law of motion, if we do not determine a new direction and act on it, we will continue on the current, wholly unsatisfactory and ineffective path. So, what would happen if we took the long view? We might imagine a future that includes, say, governmentwide acquisition decision support assistants powered by cognitive computing that could draw on all acquisition regulations and data for every procurement, every solicitation, every price paid and every contract type, along with their requirements. We could imagine such assistants analyzing all that information and providing for every new requirement a set of possible acquisition strategies ranked by the likelihood they would achieve quality results within budget and on time. If that were possible, then wouldn’t procurement professionals be able to perform higher value work and be the business advisers they’ve been striving to become? In fact, such a day might not be far off. Cognitive computing already is delivering plausible cancer diagnoses and treatment plans at Memorial Sloan-Kettering Cancer Center in New York. Now that same system has begun ingesting federal procurement rules and data. If our shared future view included such decision assistants, then wouldn’t we now be taking practical steps to enable them, such as changing data ownership and sharing policies, encouraging cross-agency data use, and investing in collecting the right kinds of data in appropriate formats? This is just one example of technology that exists and could be—arguably should be—shaping our thinking about the greater value federal acquisition can and should deliver. The example demonstrates that if we knew where we wanted to go, we could take practical steps toward that future now. To reimagine acquisition, we need to muster Collaboration Age possibilities. We must chart a sound course and measure our progress toward a different, citizen-centric, value-focused future. This calls for unity of effort in the acquisition community and a shared vision of what we’re trying to achieve and deliver. Envisioning acquisition of the future together enables us to make strategic choices that take advantage of Collaboration Age realities, rather than remaining stuck with Industrial Age approaches that no longer apply and that certainly don’t deliver the newly expected value. It’s time for us to imagine the possibilities and set our direction toward acquisition of the future. Because if not now, when? And if not us, who? Kymm McCabe is chief executive officer of ASI Government, which provides acquisition and program management support, research, education, news and online tools to federal acquisition professionals at more than 130 agencies. Read about more ASI ideas here.